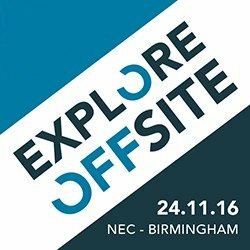 Kevin Arthur, Director at Elements Europe spoke at Explore Offsite Futures this week. Held at the NEC in Birmingham the conference and exhibition creates a platform for construction clients and their professional advisers to explore the latest in off-site construction solutions, providing dynamic and interactive learning experiences. Kevin spoke on behalf of Elements Europe in a soapbox session alongside others from the off-site arena. Kevin highlighted Elements Europe‘s capabilities and how it adapts to industry demand in order to adopt growth which is ultimately driving Elements Europe to be one of the leading off-site modular construction companies in the UK. Kevin also discussed Elements Europe’s experience across a number of sectors and the exciting projects that are in the pipeline for the residential sector. <em>“I was delighted to take the stand at Explore Offsite Futures. The breadth of speakers and industry topics discussed made for an excellent event.”</em> commented Kevin. <em>“The residential sector was a major topic throughout the day, the industry’s hot topic and something which certainly reflects our order book.”</em> He added.